Free download - programs for mac ACDR, Awave Studio, 500th Video Converter, XRECODE3, Folder Password Lock, Pepsky Audio Converter, Zortam Mp3 Media Studio, Zortam Mp3 Player, Cryptainer, Camlytics Free download! ACDR ::: a computer program that allows users to rip audio from audio CDs. Using ACDR can keep all the music from CDs to your hard drive. ACDR is a simple, stable, fast and very helpful program for ripping music. »» Free download Awave Studio! Awave Studio ::: a computer program that allows users to convert audio files. Using Awave Studio can convert audio files into the most popular formats. Awave Studio is a fast and very efficient program to convert audio. »» Free download 500th Video Converter! 500th Video Converter ::: a computer program that allows users to convert between different video files. Using 500th Video Converter can convert between various video formats, the program supports most popular video formats. 500th Video Converter is a simple, stable, fast and efficient program to convert video. XRECODE3 ::: a computer program that allows users to convert audio. Using XRECODE3, you can convert between different audio formats, the program supports the most popular audio formats. XRECODE3 is a fast and very efficient program to convert audio. »» Free download Folder Password Lock! Folder Password Lock ::: a computer program used to protect folders and files. Using Folder Password Lock can hide or block access to various files and folders on your computer. Folder Password Lock allows you to block access to files, folders, applications or drivers. »» Free download Pepsky Audio Converter! Pepsky Audio Converter ::: a computer program that allows users to convert audio files. Using Pepsky Audio Converter, the conversion of audio files is a much simpler and more efficient work. Pepsky Audio Converter is compatible with most common audio formats. »» Free download Zortam Mp3 Media Studio! Zortam Mp3 Media Studio ::: a computer program that allows users to manage and organize music files. Using Zortam Mp3 Media Studio can convert, play and organize the music on your computer. Zortam Mp3 Media Studio is used, in particular, to rename and modify tags. »» Free download Zortam Mp3 Player! Zortam Mp3 Player ::: an audio player to listen to music on your computer. Using Zortam Mp3 Player can listen to music from CDs or in different audio formats. Zortam Mp3 Player is mainly used to play MP3 files. Cryptainer ::: a computer program used to protect data against unauthorized access. Cryptainer is a stable, secure, fast and secure encryption software. Camlytics ::: a computer program that allows users to record video. 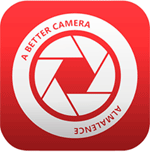 Using Camlytics can record video using a webcam or other video capture device. 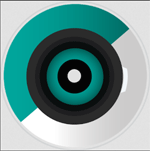 Camlytics is mainly used for video surveillance, using webcams.